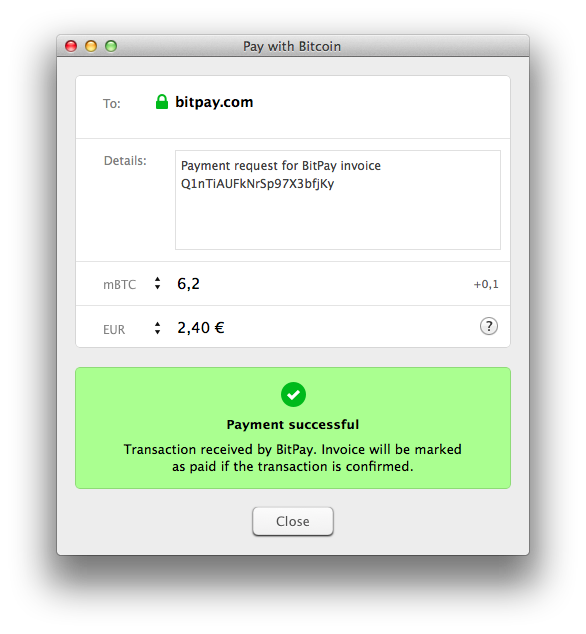 BitPay supports the Payment Protocol for all of our merchants. We recommend using a wallet that does the same. 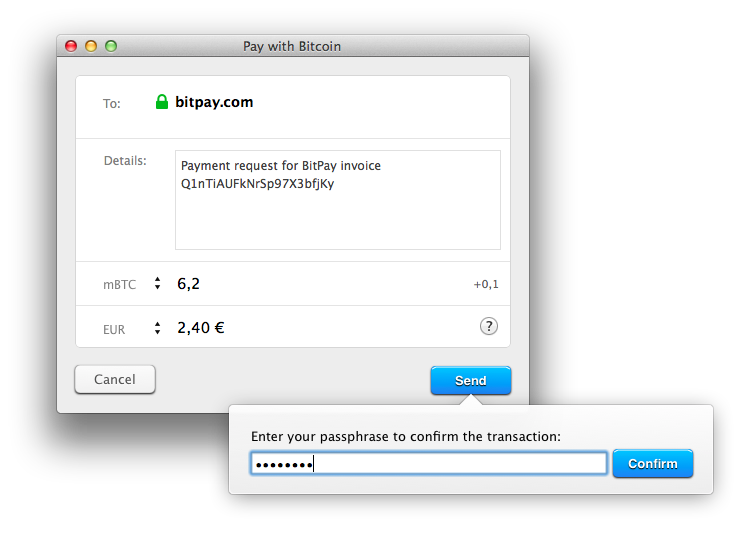 Hive Wallet now uses the Payment Protocol. When transacting with one of our merchants, we recommend using a secure wallet that supports the emerging Payment Protocol, such as the newly released Hive for OS X and Android. To the end user, Payment Protocol abstracts away some of the more complicated aspects of Bitcoin, including addresses, while providing a number of additional benefits such as proof-of-payment and refund addresses. To merchants, the main advantage is that the Payment Protocol makes the payment process much faster: instead of having to monitor the blockchain for new transactions, the transaction is sent directly to the merchant's server. This is especially important for real-life transactions, e.g. when paying for a coffee in a cafe, because it means the customer has to spend less time at the counter waiting for the payment to be processed. If the payment is secured with merchant's certificate, you will see a green lock icon next to the name - just like in a web browser when you open your email account or your bank's site; this protects you from potential attackers that could otherwise intercept payment requests and modify the address to make the money go to their own wallet instead. After the payment is accepted by the merchant, you'll see an additional confirmation message: The merchant can customize the message to include some extra information. Paying from your phone via Bluetooth, without an Internet connection. On the merchant side, Payment Protocol is currently supported by all merchants who use BitPay to process Bitcoin payments, but we expect it to become commonly accepted in the next few months.